Thanks to a newly developed synthetic fiber, Da Vinci has created a hobby and school brush assortment that combines quality and value. Considered the best-quality, lowest-cost brush on the market, Fit for Hobby & School Brushes are manufactured in Germany to offer better performance than traditional natural hair brushes. They're ideal for use with all types of paint. 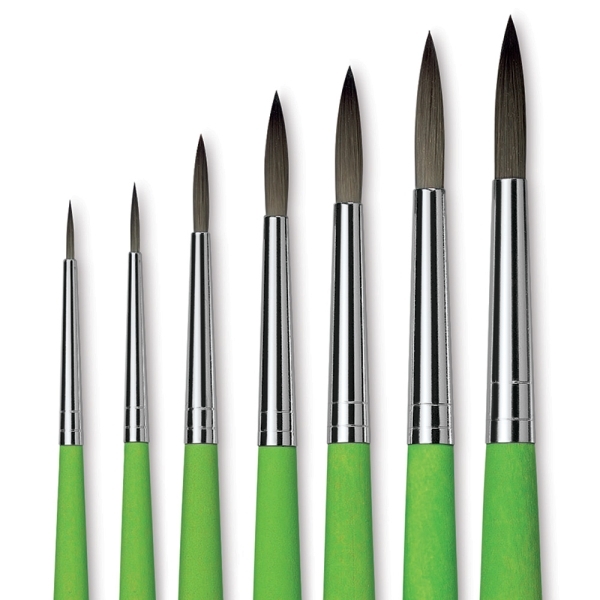 Available in Rounds, Flats, and Filberts, every brush features very elastic gray fibers and rust-resistant ferrules. 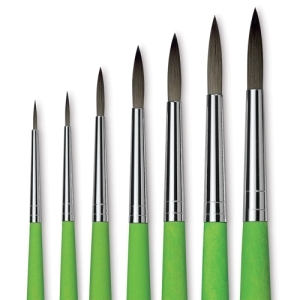 The green matte handles come from sustainable forests, and are perfectly balanced in the hand.